This event is for ALL branches of service. Please pass along to anyone else that you can think of. If you would like to have a resource table, please email Doug Turner at dturner@recruitmilitary.com. What: Citizen Soldier for Life is a program that focuses is on new recruits and service members who need employment/financial services. The CSFL Career Readiness Counselors will support the Recruit Sustainment Program (RSP) for both the Army and the Air National Guard. These Employment counselors/case manager roles will focus on case management of employment assistance and financial education. The focus is on new recruits and service members who need employment/financial services. 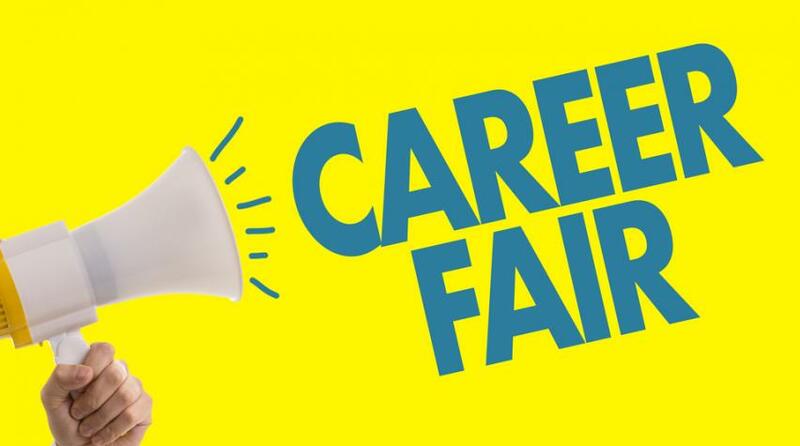 Counselors will work with and connect with Department of Labor (DoL) representatives, DoL American Job Centers (AJC’s), and state ESGR members to provide a 360 degree look/review of service and family member requirements/needs, while eliminating duplication of effort. The program familiarize’s service members and their families with the skills necessary for a fulfilling civilian career. It also teaches them how to manage their wages to reduce unemployment, underemployment and improve the financial literacy of the force. 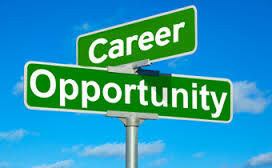 Minimum of a bachelor’s degree or 3 years of relevant experience as a Career Readiness Counselor. Prior military is preferred but not required. When: The first step of Reboot will be held on Wednesday, July 26, 2017 from 8:30 a.m. to 4:30 p.m.
Where: At the Minnesota Bankers Association, 8050 Washington Ave South, Suite 150, Eden Prairie, MN 55344. Why: Veterans who complete this one day course will then be eligible for step two: a FREE eight-week online entrepreneurship course. WHEN: June 6, 2017, 11:00 a.m. to 3:00 p.m.
We have openings for our Family Assistance Center Representatives all over the state, please see the PDF’s below for additional information. 1. Please go to our website http://www.skyline-ultd.com “Careers” page for complete job description. 2. Click on “Job Announcements. 3. Use the search bar and type in the job location. 4. Click the “APPLY” button to complete an electronic application. Below and attached is a Child Youth and School Support (CYSS) job opportunity. This is a Full-Time civilian contracted position and we are looking for widest dissemination. Please share the attached information with Soldiers, Airmen and civilians. What: Get a practical overview of the fundamentals required to start a small business in thisFREE 5-day workshop for veterans and their family members. What: UnitedHealth Group month-long celebration of Veteran’s Day, onsite Military & Veterans career fair and networking event. For more information please see attached PDF flyer. Below and attached are details for positions offered for Edible Arrangements, this Company would like to hire Military Veterans to fill these positions. Attached are job descriptions for the different positions available at edible arrangements. All locations are in need of Customer Service/Fruit Experts, Productions team members, and delivery drivers. Number to call with questions or to schedule interview: 763-420-3115, application form are available in the PDF below. Please see PDF for attached application information for position. 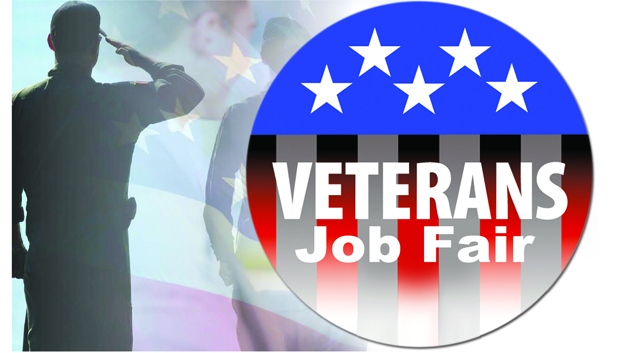 employment workshop – 9:30 to 11 a.m.
hiring fair – 11 a.m. to 2 p.m.
WHY: Will feature more than 75 prospective employers seeking to hire veterans and their spouses. Below and attached is a Family Readiness Support Assistance Job opportunity. This is a Full-Time civilian contracted position and we are looking for widest dissemination. Please share the attached information with Soldiers, Airmen and civilians. Questions concerning other recruitment and outreach matters is reference to this position please direct them to: Ms Michelle Darveau michelle.Darveau@gbg-hs.com. I am currently recruiting for our Insurance Account Representative positions in Minneapolis. 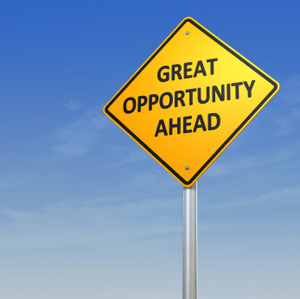 These positions are full-time, salaried with great benefits and opportunity for growth. We are seeking individuals with a minimum of 1 year of insurance experience within in the auto, boat and/or homeowners insurance market. If you know anyone interested in our opportunities please refer them to our site http://www.pinsourcing.com to submit their application or forward their information to me so I can follow-up with them. Thank you for your referrals! Veterans Forklift training class on Thursday, December 10th. This is the Free training for veterans. The class that is intended to help veterans add to their skills when seeking employment where ever forklifts are used. Call the number on the pdf to register, for more info see pdf below. Participants will have the opportunity to talk with UnitedHealth Group’s recruiting team, learn more about the company and UnitedHealth Group’s businesses, use a military skills translator to determine transferable skills to select what jobs are best to apply for, attend presentations on a variety of topics, get their resume reviewed, do a mock interview and so much more! Please see the attached information to find out more about the event, and share this email with any friends, family and/or consumers that are interested. 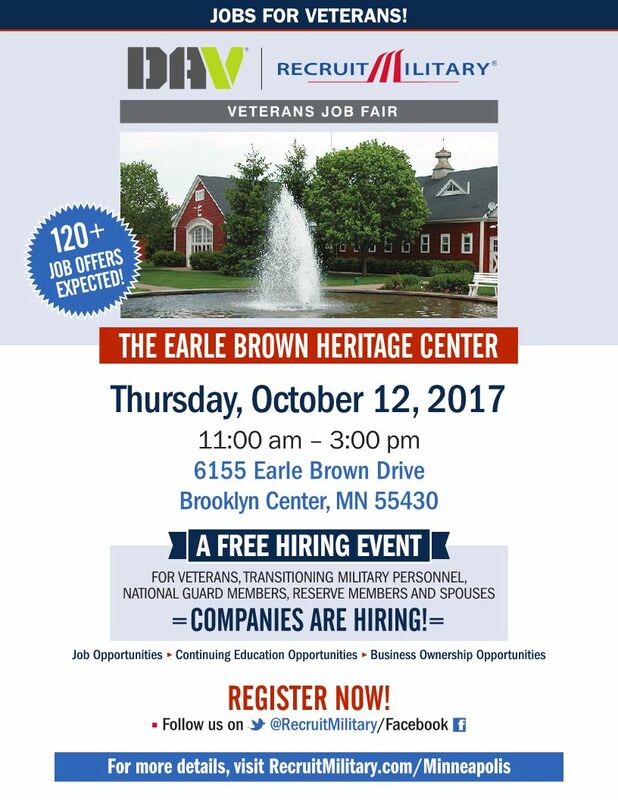 Employment Ready Veterans Class being offered in Brooklyn Park. 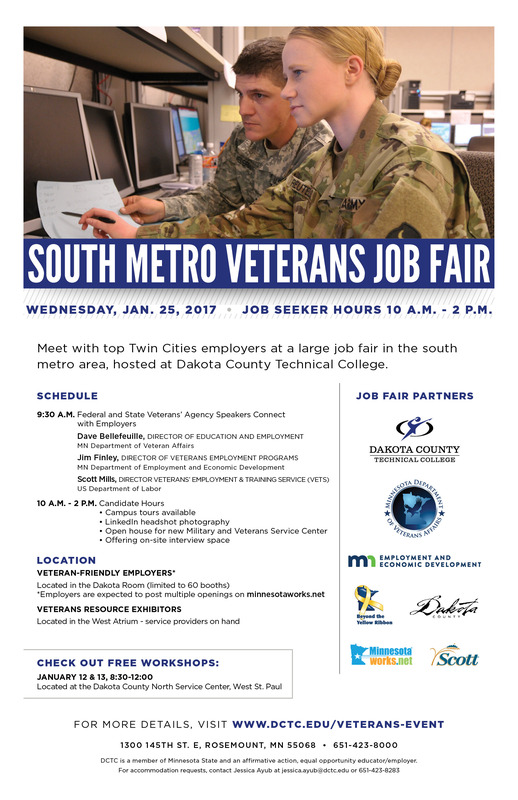 We are offering a week-long series of job search classes for “Veterans only” at the Hennepin North Workforce Center. It will meet from 9 a.m. to Noon from Monday, October 26 through Friday, October 30. Class size is limited and registration is required, register online at: http://mn.gov/deed/hnworkshops . For more info please see the PDF below. Below are the job descriptions and it brings you directly to the career page and link to apply for the position. 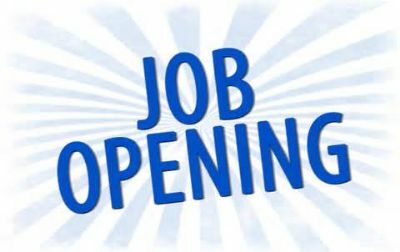 TUESDAY, September 22, 2015 – 8:30 a.m. – 12 p.m.
Below is the link for the Public announcement for the GS-203-07 (FPL: GS-07) 3 Human Resources Assistant positions located in Bloomington. MN with U.S. Customs and Border Protection’s Minneapolis Hiring Center. Do you wish to be considered under a Special Appointing Authority? Veterans <http://www.dhs.gov/xabout/careers/gc_1257531959159.shtm> , Military Spouses <http://www.fedshirevets.gov/job/shams/index.aspx> , Peace Corps <http://www.peacecorps.gov/index.cfm?shell=resources.returned.returnedvolfaq> /VISTA volunteers <http://www.americorps.gov/about/programs/vista_benefits.asp> , and individuals with disabilities <http://www.opm.gov/disability/> possess a wealth of unique talents, experiences, and competencies that can be invaluable to the CBP mission. If you are a member of one of these groups, you may not have to compete for federal jobs. To determine your eligibility and to understand the documentation that is required with your application, click on the links above and/or contact the Indianapolis Hiring Center. Dear Yellow Ribbon Networks, there is an opening for a position to coordinate the Yellow Ribbon Reintegration training at the 133rd Air Lift Wing in St Paul. We would love to see someone familiar with the Beyond the Yellow Ribbon Program in this position! IIF Data Solutions, Inc. is seeking a qualified and capable individual to serve as an Air National Guard (ANG) Wing Integrator in St. Paul, MN. The ANG Wing Integrator position is designed to provide support and coordination to educate ANG Members and their Families about benefits, entitlements and services available to them under the Yellow Ribbon Reintegration Program. 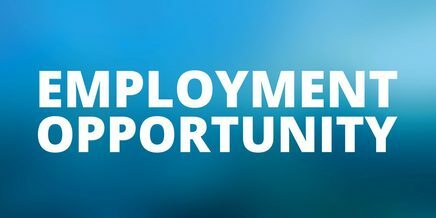 The position may provide day-to-day liaison and logistical support for Transition Assistance, Strong Bonds programs and Comprehensive Airmen Fitness initiatives. In coordination with wing leadership the ANG Wing Integrator shall provide Wing support including day-to-day support to Airmen and Family members and act as a liaison with other support entities including JFHQ resources, wing A&FRPMs, and Employer Support for the Guard and Reserve (ESGR) representatives. If you are mechanical inclined and want a career in a Drug and Alcohol Free Metal Forming work environment, please call me for an interview. We want and hire individuals who want a career. We will train you to move forward in your career. Bring your motivated attitude, math skills and working as a team member, we will help you make your career. Please review the job announcement attached. E.J. Ajax & Sons, Inc provides an assortment of benefits. Raises and promotions are based on performance, not time or scale. If this is an opportunity you wish to pursue, please give me a call. Please see attached for information regarding the Veteran Hiring Initiative through Jewish Family and Children’s Service of Minneapolis, and their current job openings. 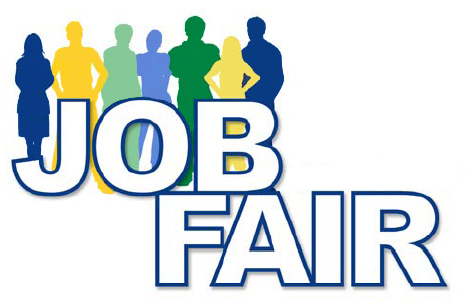 If you have interest or inquiries regarding any of the job postings or program information, please contact jelvebak@jfcsmpls.org or AJ Anderson at aanderson@jfcsmpls.org. Keep in mind these positions are only available through JFCS, they are not located on the Hennepin County website. 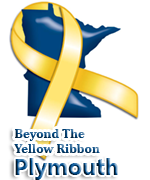 I am reaching out in hopes to expand our relationship with Beyond The Yellow Ribbon organization. I am the Workforce Development Specialist for Carpentry Contractors Co. and we have been involved with Military programs for some time now. We are actively and heavily involved with Built To Honor, and Homes for Our Troops with providing material and labor to military personnel who have been injured during their term of service. As a company we are military friendly and employ a great number of men and women who have been or still are in service. On June 13th, 2015, I will be participating in a Beyond The Yellow Ribbon organization 30- Day Post Deployment to help provide work for those who are looking for employment. Carpentry Contractors Co. has been providing carpentry labor to the residential professional home builder in the Minnesota Twin Cities area since 1980. We are dedicated to have the safest working conditions and quality end product. We also provide an industry leading safety program along with skills training for one of the largest most experienced group of professional carpenters in the upper Midwest. I have attached a document that gives some on our departments, what we offer, and our requirements and if you would like to know more, check out our website at www.carpentrycontractors.com. Everything our troops have sacrificed and encounter is unimaginable. We believe in giving back and saying thanks for everything they’ve done to protect our Country. I would love to work with you in helping individuals get back on their feet and show them job opportunities in the construction trade industry. Thank you for taking the time to expand our relationship with BTYR! Earlier this year, the Carver County Board of Commissioners approved an Assistant County Veterans’ Service Officer (ACVSO) position which will help our office better serve Carver County’s veteran population. We recently reopened the ACVSO position, and are continuing our search. In order to ensure that we have a strong candidate pool, I’m asking you to please forward the position to any candidate that you feel is qualified and would do a great job for our veterans and communities. (Please note that the candidate does need to meet several minimum qualifications, including holding “Veteran Status” as defined by MN State Statute 197.447). A copy of the job description is located below. Please note that the position opening closes on June 12, 2015. 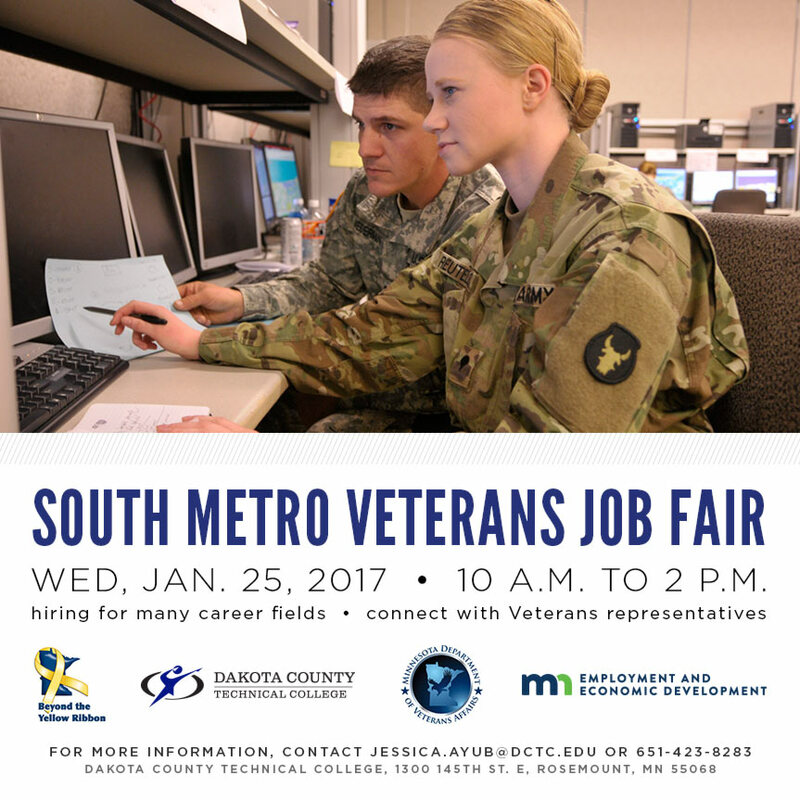 If the applicants have any questions, please have them contact Carver County Employee Relations at 952-361-1525. Under the direction of the Veteran Service Officer, the Assistant County Veterans Service Officer (ACVSO) assists in administering and coordinating veterans’ programs throughout Carver County. In addition, the ACVSO provides direct support to veterans and their families to obtain benefits from Federal, State, and County agencies. • Interview, advise, assist, and advocate for veterans, their dependents, and survivors to obtain available federal, state, and local services, assistance, and grants including, but not limited to, VA Compensation, VA Pension, MN Dept. of VA benefits, home loan benefits, insurance, education benefits, death benefits, life insurance, inpatient and outpatient health care, home health care, placement in a care facility, VA hospital benefits, compensation, retiree benefits, and all related veterans benefits for which they are eligible. • Assist returning Iraqi and Afghanistan veterans in obtaining veterans benefits and participating in Combat Veteran Reintegration of Minnesota Troops. • Work with the U.S. Department of Veterans Affairs, State of Minnesota Department of Veterans Affairs, non-profit agencies, contracted providers, and County employees to meet the needs of veterans and their families. • Prepare case records/outcomes, social histories, correspondence and other documentation using various computer applications. • Work with Veterans’ Court participants to obtain VA Healthcare and other veterans benefits. • Advise, assist, and advocate for clients to appeal denied claims; attend hearings as requested on behalf of veterans. • Maintain current knowledge of county, state, and federal statutes, as well as rules, regulations, and policies regarding veterans’ programs, and interpret and apply them to the office’s operations. • Develop and implement procedures and recommend policies related to veterans. Prepare and submit reports as required to state and federal agencies. • Draft and prepare applications for periodic grants through state and federal programs for special projects or equipment. • Maintain accreditation of the National Association of County Veterans Service Officers and Minnesota Association of County Veterans Service Officers; attend required annual training. • Assist homeless veterans in securing sober housing, HUD-VASH vouchers, and other benefits. • Perform other related duties as assigned or apparent. Bachelor’s degree and two years customer service experience, preferably in the public sector, or an equivalent combination of education and relevant work experience. • Status as a veteran (served in active duty in the U.S. armed forces) as determined in Minnesota Statute 197.447 (applicants must submit a copy of their DD214, which includes their character of discharge). • Maintain yearly accreditations with the Minnesota Association of County Veterans Service Officers and Minnesota Department of Veteran Affairs within the first 12 months of employment. • Valid Minnesota Driver’s License. • Citizen of the United States of America. • Minnesota resident. All applications will be screened for minimum qualifications, scored and ranked. The highest ranked candidates meeting minimum qualifications will be recommended for the scored oral examination (interview). Final selection for the position will include successful completion of oral interviews and background investigations. I hope your morning is going well! I wanted to personally reach out to you and introduce myself to you. I am a Recruiter with Aerotek and I partner with a lot of machine shops/manufacturing companies around central MN and I wanted to see if we could help each other out. I am a veteran myself and have had lot of success helping other veterans, as well as military spouses, find employment. * Manufacturing experience – such as working as a machine operator/mechanical assembler/trimmer/assembler. * Good communication skills – oral and written – will be working in a team environment daily! COMPANY IS WILLING TO TRAIN! LOOKING FOR CANDIDATES WHO WANT A LONG TERM CAREER WITH A GREAT COMPANY! For your information: Century College has been the recipient of a federal grant that will provide the full tuition payment ($3,795) to military veterans seeking to earn a class “A” commercial driver’s license (CDL.) The vet needs to fulfill all of the regular pre-registration checklist items and share a copy of his/her DD214 prior to registration. I have attached a flyer, checklist and schedule of upcoming courses for your info. We have a limited number of seats, but I want to utilize every single one of them. Please forward this information to other’s who would be able to refer an interested vet to this tuition free training opportunity. And do give me a call if you want more information. Thanks! Join us Thursday, May 21st @ 9AM at the Brooklyn Park Workforce Center. Our speaker will be Sheila Jessen, from Cargill. Her topic – “Insights into Corporate Recruiting and Sourcing” will give you chance to learn about the inner workings of civilian recruiting. Learn more about the application process, resumes, interviews and sourcing, and how to apply these tips and recommendations to help you with your job search strategy. These positions are direct hire. Some experience with fork lift driving, they will help you to get certified. Good afternoon, I hope you are all having a fantastic day. We have opened a job announcement for Customs and Border Protection Officers (https://www.usajobs.gov/GetJob/ViewDetails/400884700) through May 11, 2015 in which we are attempting to attract veterans into GS-5/7 entry level positions that have the career ladder potential of GS-12 and beyond. It is important to note that veterans with preference do not have to conform with the normal age requirement for this position, which is 37 years old. Veterans with preference who are beyond this age limit can still be considered for these positions. Also, please have all applicants who desire to learn more about these CBPO openings not contact me directly but instead reach out to our designed agency contacts listed below for additional information related to this opening, thanks much. * CBP encourages women, minorities, and veterans to apply for an exciting career with Customs and Border Protection. * If you recently applied to CBPO 15-2 VRA announcement you do NOT need to reapply, doing so will overwrite your application. * Female CBP Officers are in high demand for the processing female travelers that are detained, interrogated and/or deported. Therefore, the U.S. Office of Personnel Management has granted CBP an exception to Title 5 of the Code of Federal Regulations, Part 332, Section 332.407 which authorizes the targeted recruitment of female officers in locations experiencing a critical need. * Also, although not a requirement for this position, we’re also interested in hiring those candidates, with proficiencies in our Languages of Special Interest (i.e. Farsi, Arabic, Punjabi, Russian, Arabic, Urdu, Dari-Pushtu, Turkish, Uzbek, Tajik, Turkoman, Uighur, Somali, Amharic, Tigrinya, Bahasa, Tagalog, Kurdish, and Chechen). Thank you for your help in disseminating these exceptional opportunities among your contacts and please do have a great rest of your day everyone. WHO: OPEN TO EVERYONE! See attached flyer for registration information. 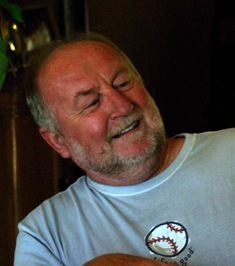 Nick Swaggert is the Director of Genesis10’s Veteran Program. An infantry officer with the United States Marine Corps from 1999-2010, Swaggert’s first-hand knowledge of veterans’ strengths, challenges and culture has well prepared him to identify new opportunities for companies and veterans to serve one another. Swaggert is passionate about recruiting and placing fellow veterans, letting them know that their military experience is valued and understood—and that there is a place for them on the business and IT frontier. For spouses or dependents of Service Members, please see qualifications below! DEADLINE TO APPLY IS MARCH 31, 2015!! Mission: Honoring Their Sacrifice, Educating Their Legacy. •Children’s Fund Scholarship Specific: Any service member who has been killed or disabled in combat with a documented service-connected disability (greater than or equal to 90-100%), killed in the line of duty, or loss of limb. •A service member who has received a Purple Heart Medal (may be active duty). https://scholarships.foldsofhonor.org/prequalify This is the link to prequalify and the 2015 deadline for applications is approaching fast!! We are currently recruiting for Audio Alarm Monitoring Agents for a Fortune 500 Security Company located in Plymouth, MN. The company specializes in providing alarm surveillance for commercial and residential properties across the country. This position requires the alarm monitoring professionals to verify break-ins in progress and or false alarms via real time audio surveillance. The alarm system is also capable of detecting the sounds of break-in attempts, so many times intruders are caught before they can even make entry into the building. Once an alarm is triggered, they send audio feeds to the monitoring center. Once an alarm is verified, the Monitoring team can monitor the conversations and movement of trespassers, obtaining valuable information and evidence for police. – 1st, 2nd, and 3rd shifts available. – Must have previous Customer Service experience. – Must possess the ability to pay attention to detail and listen thoroughly. – Must be able to type a minimum of 45 wpm. – 2+ years of Call Center experience is HIGHLY preferred. – Previous security experience is preferred. – Must be able to work Holidays and Weekends. – Must be able to multi-task. CarMax is opening in Brooklyn Park MN! Please visit our website http://www.CarMax.com/twincities , for more information about our unique opportunities. We’re looking to hire for over 85 positions and many of those positions require little to no prior experience. Through hard work and dedication, we’ve grown from that one store in Richmond to more than 100 stores across the country. We’ve sold more than 4 million cars. We’ve appraised more than 16 million. And the news is buzzing with stories about CarMax, the experience we offer our customers, and the work environment we provide for our Associates. CarMax is listed on the FORTUNE® 500 list, we’ve been named one of FORTUNE’s “100 Best Companies to Work For” 10 years running and are on Training Magazines list “Top 125 Training Companies to work for”. We’ve also found over the last 20+ years that Veterans of all branches make great CarMax employees due to their ability to work well with others. The team environment experience of the military lends itself well to the workplace environment of CarMax. WHEN: About 300 scholarships, averaging around $1000, will be awarded to military spouses in 2015. WHERE: At your site or an AME Alliance campus (St. Cloud, Pine City, Staples in Brainerd, Bemidji), or a facility near you. Do you like variety, staying physically active, working with tools and teamwork? If so, we would like to hear from you! Brownsworth has been providing office furniture installation services since 1971. We are hiring for entry-level INSTALLERS for Full and Part-Time openings to reconfigure office furniture and work stations/cubicles throughout the metro. Most work is M-F during the day with evening (4:30-10pm) and Weekend work paying a minimum of $18.00 per hour! We offer on the job training and a clearly defined career path and growth potential for the right candidates. 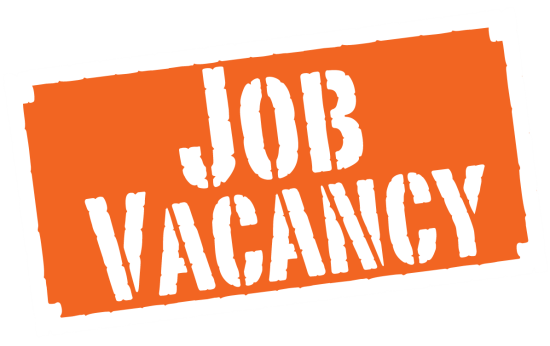 Lead, Foreman and Driver positions also available for experienced candidates. Our BENEFITS include: medical, dental, Life, 401k, vacation and holiday pay, PLUS we pay time and a half for any hours past * hours a day! Previous office furniture installation preferred, but not required. Carpentry experience or commercial/residential moving experience a plus. You must have your own tools, a valid driving license, reliable transportation, ability to lift up to 60 pounds independently and the ability to pass FULL criminal background check. Occasional (paid) meetings at our Plymouth office will be required. Hourly wage starts at $12.00. Higher Pay is negotiable for experienced Office Furniture Installers. Call 763-249-3645 for a phone interview with Sally Malchow now! Reply to posting with resume or apply in person from 8 a.m. to 4:00 pm at: 4155 Berkshire Lane, Suite 200, (the far, north side of the bldg) Plymouth, MN 55446. For more information including an application that you can print, visit our website at www.brownsworth.com. Applications can be faxed to 763-745-0578. Brownsworth is an Equal Opportunity Employer. Anyone interested can apply at www.careers.homedepot.com . Once you have applied, applicants should call the store at (763) 509-9590 extension 077 to speak with Anna about scheduling an interview. Thank you! !